As a brand ambassador for Oriental Trading, I have received products or compensation for my Adorable Thanksgiving Kids Table. All opinions are my own. We’ve outgrown our dining room table! When the family gathers for Thanksgiving, there’s now 15 of us, including our children, their spouses, and the grandkids. Our table seats 12 and sometimes we squeeze in one more. But, at Thanksgiving, I always like to create a special table for the kids. When the kids arrive for Thanksgiving, they immediately come running to see their special table. Every year I like to do something a little different so that it doesn’t become boring. Just sitting through the entire Thanksgiving Dinner can be challenging for kids, so I like to add fun things for them to do. When the kids get older, they move over to the adult table, but when they are little, I try to keep everything simple and one rule I have is nothing remotely breakable is used on the table for the kids. I found the cutest paper plates at Oriental Trading. Aren’t they adorable? You can’t celebrate Thanksgiving without the Mayflower! 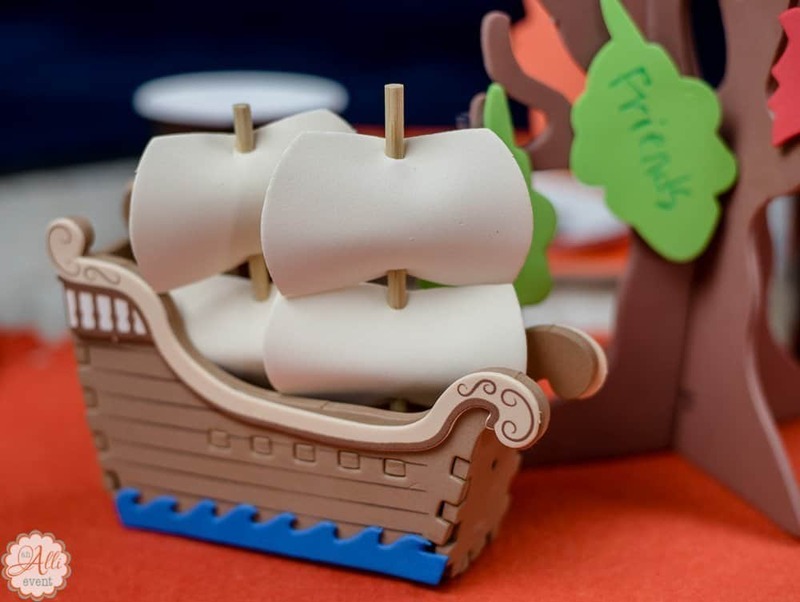 Each one of the grandkids is invited to make their own ship from the 3D Mayflower Ship Craft Kit. The foam pieces are super-easy to put together, even for little fingers. I think it’s important to teach kids to be grateful! The Tree of Thanks Craft Kit provides entertainment for the kids while I’m adding the finishing touches to dinner. These come 12 to a pack, so there’s plenty to go around. The kids write what they are thankful for on the leaves and glue them on the tree. 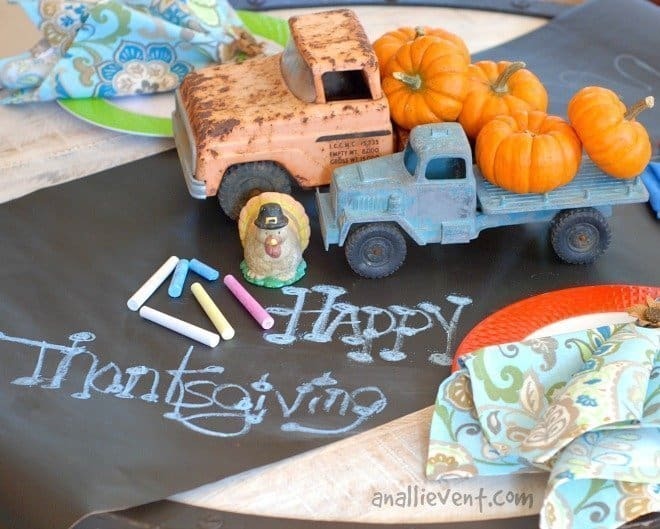 It doesn’t take a lot of money to create an Adorable Thanksgiving Kids Tablescape! In the past, I’ve used Kraft Paper as a table cover and encouraged the kids to write, doodle and draw pictures of everything they were thankful for. The grandkids are crazy about their Adorable Thanksgiving Table, so much so, that they don’t beg to sit with the adults. Score! They had rather have fun at their own special table. The Turkey Hanging Paper Lanterns are also easy to put together. All the pieces of the turkey have a glue strip that sticks to the lantern. The kids love looking up and seeing the turkey! Be sure and visit Oriental Trading and check out all the fall craft and decor ideas! Now, let’s eat! 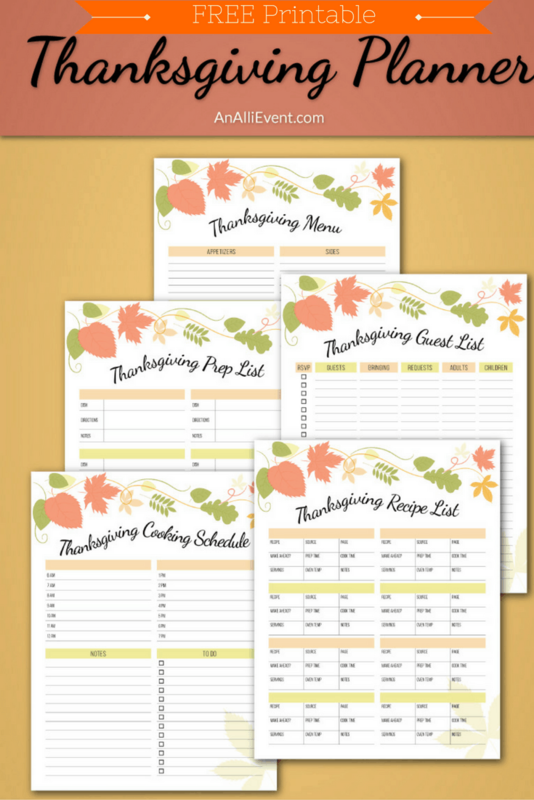 Are you hosting Thanksgiving this year? If so, will you have a special table for the kids? 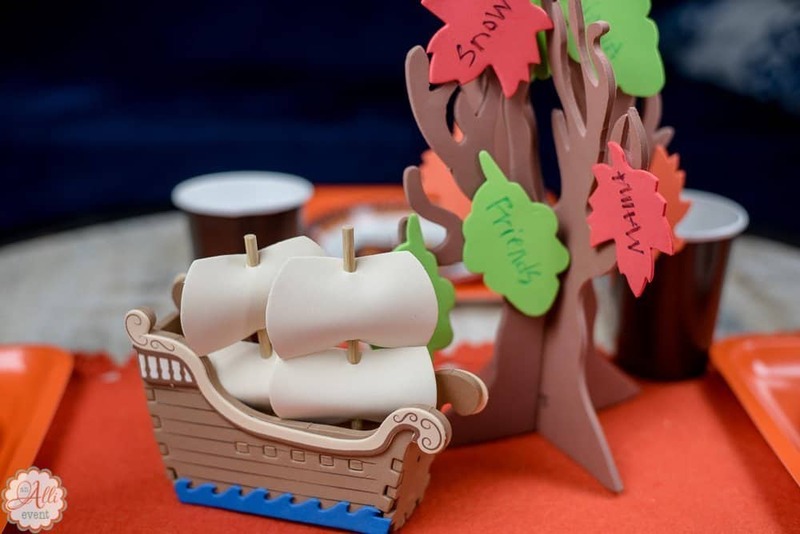 The tree of thanks is perfect idea and love the boat. Going to do this for the kids table this year, think it is a awesome idea. What a cute table setting for kids! 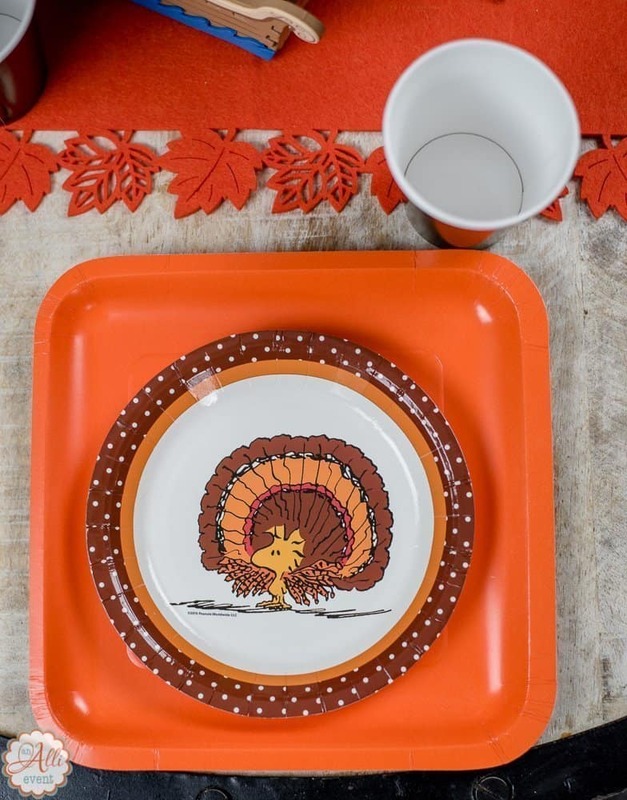 Thanksgiving can honestly be a bit boring for kids, so it is nice to make it kid-friendly and give the little ones a place setting to enjoy. Marysa recently posted…Build a Muddy Fuel Cell with MuddWatt from Magical Microbes! These are such great ideas. My daughter is all about the crafts, so she’d want to do those. I am not hosting Thanksgiving thank goodness! I go to my parents house. I love this! It’s kind of fun when they can have their own little space that they could create themselves. They would have so much fun making their own Thanksgiving table. Such a great idea to have a separate table for the kids. I am sure I would have loved it when I was a kid to sit on an exclusive table with all the cousins, brothers and sisters. We are hosting Thanksgiving dinner this year and yep, there’ll be a kid’s table. The kids usually dine in the den with the Kinect and board games and it’s just right off the dining room so they’re really close. We always let them design their placemats to keep them busy while dinner’s being prepared but this craft would be something they’d enjoy. Tomi C recently posted…Swago: Shopping Edition Is Back! Aww that really is the most adorable tablescape, I am loving the turkey so cute! I love everything on the table. What a great idea to dress up the kids table for Thanksgiving. This is such a cute tablescape for Thanksgiving. We will have to get the craft supplies out this weekend and make a few of these. I love your children’s tablescape! I love that it’s both decorative and that you can totally play with it as well…LOL!! How cute. We use Oriental Trading for stuff at church. 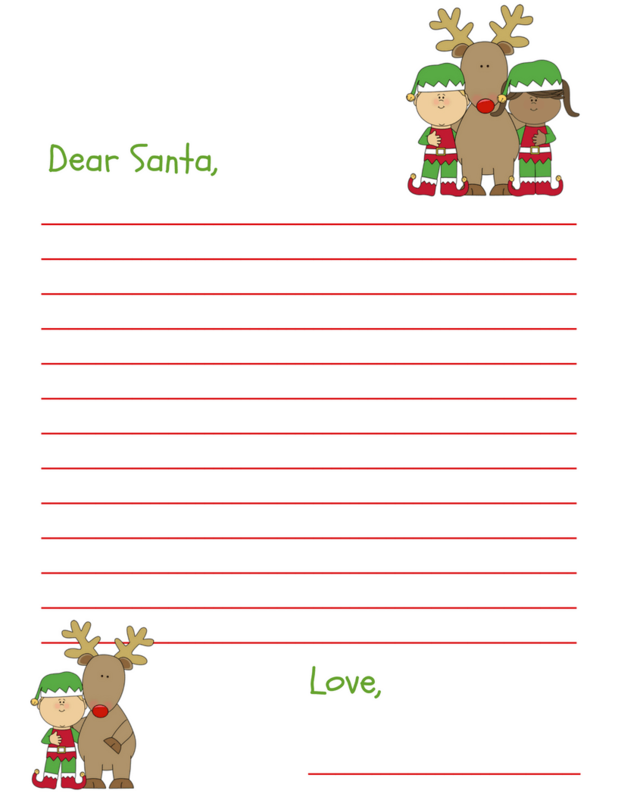 Thanks for sharing the Letter to Santa too! That is when I know the holidays are coming. Thanksgiving posts! We don’t celebrate thanksgiving but this is definitely adorable. 🙂 The turkey is too cute. How adorable and what a fun kids tables. I love the paper tablecloths that kids can color on. It always keeps them busy. You make me miss sitting at the kids table. 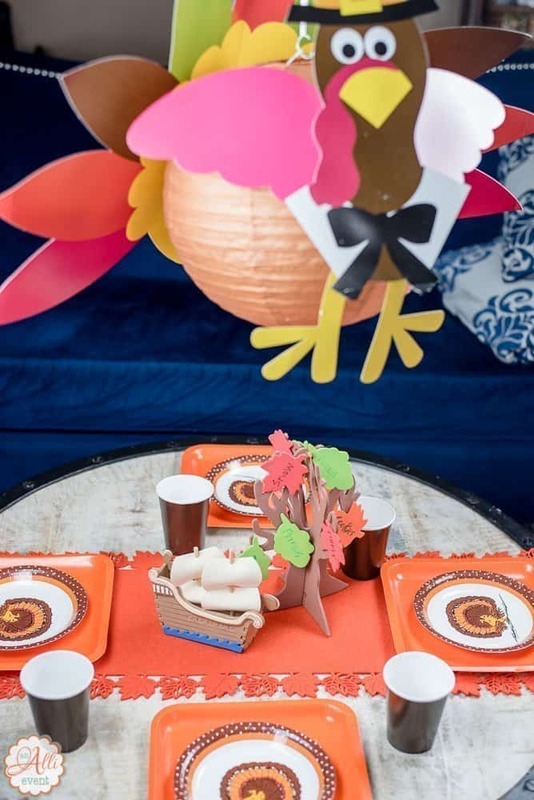 What a lovely kids’ Thanksgiving tablescape! I love the little Mayflower centerpiece. The kids would love it! Thanks for the printables too. That is going to make my preparation a whole lot easier and more organized. These are some adorable ideas! I love Oriental Trading. THey have some great things. I used to order from them for my child’s school. Wow, that is a nice idea, wonderful setup. My kids are excited for Holidays and surely, they will make up something like this. Wow, the tree and the boat look awesome! 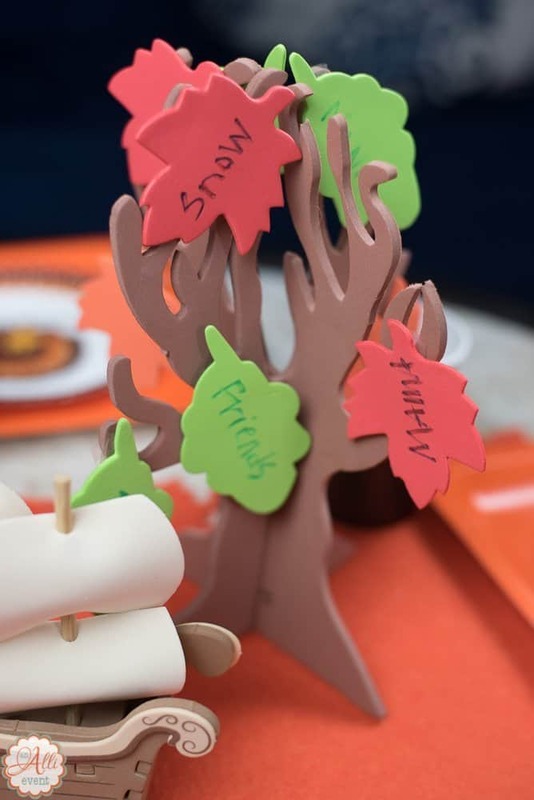 Such great ideas to craft for upcoming Thanksgiving.